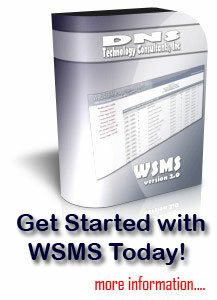 The WSMS system will log all changes that are made to the website, as well as, logins made to the WSMS system. 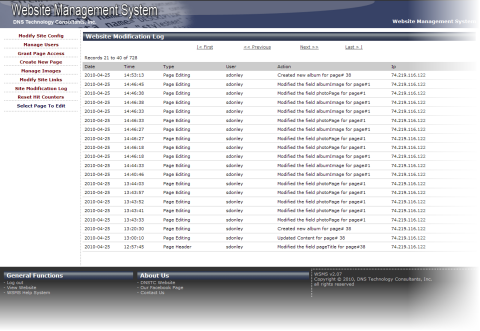 This log is available to all administrator accounts under the menu option, Site Modification Log. The date, time, type of transaction, the user who made the transaction, the action performs, and the IP address of the computer in which the transaction was made from. Use the links at the top of the log to navigate through the pages. Note: There is no way to reset this log. If you wish to reset this log, please contact DNSTC to have one of our technicians reset it for you.